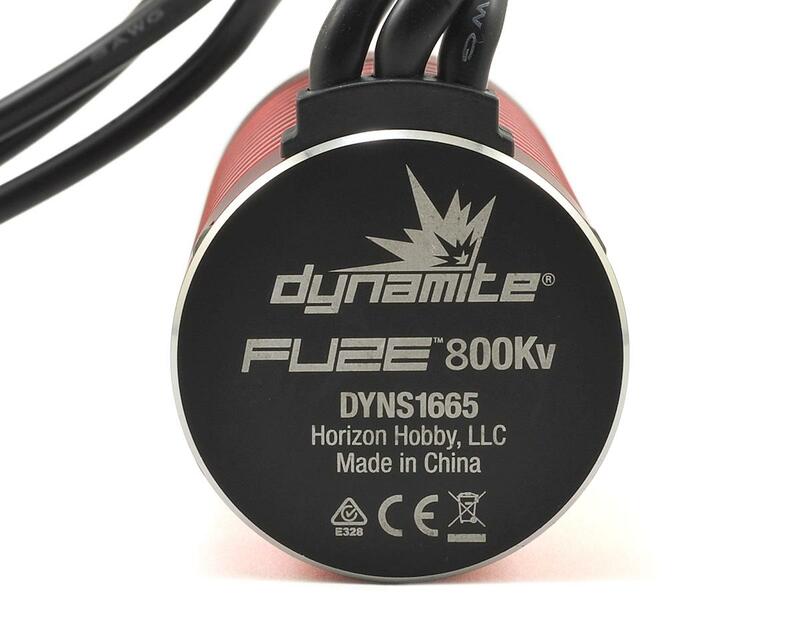 This is a replacement Dynamite 800kV Fuze 1/5 6-Pole Brushless Motor. 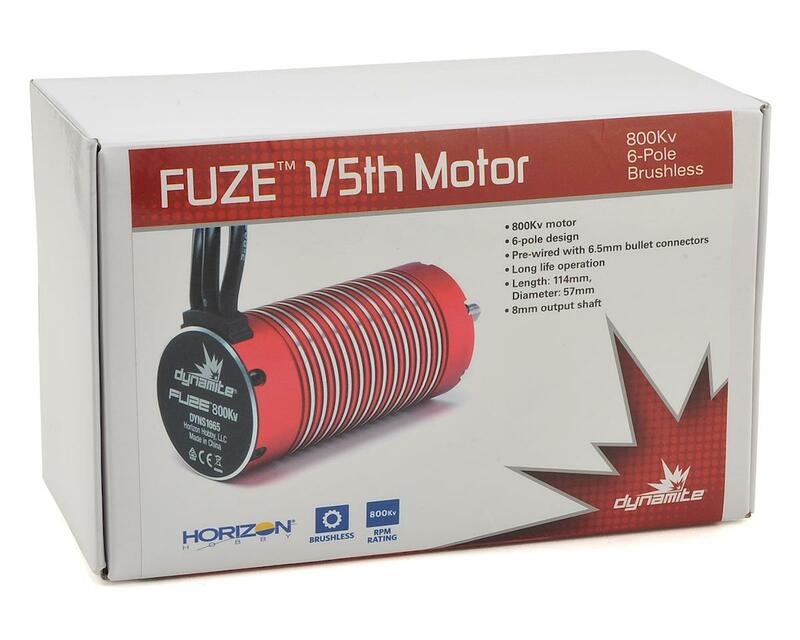 Purchased this motor for a custom Losi 5T brushless build along with the Hobbywing Max 5 ESC running on 8s 9200mAh 90c constant batteries , 16 tooth pinion and 58 Tooth spur and its a animal. 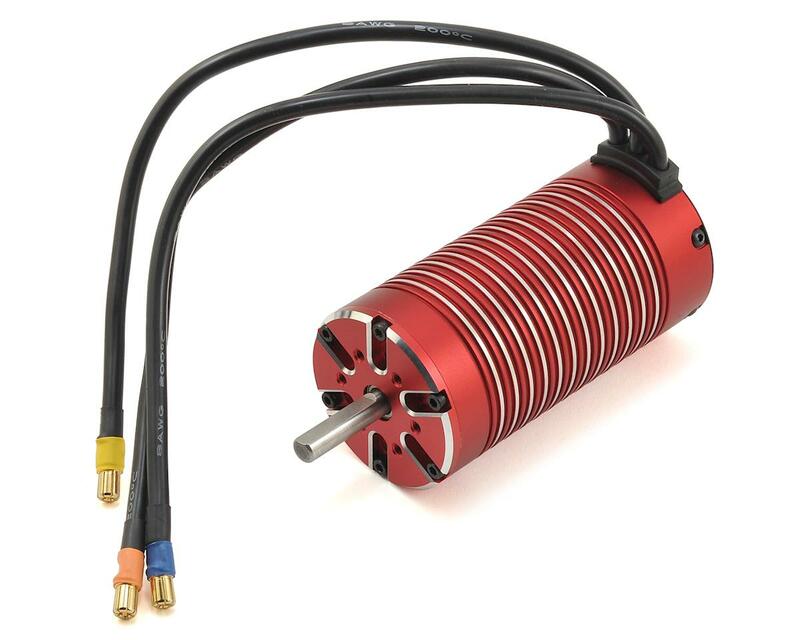 I am running it with the mechanical brakes so the temps are perfect. This combo makes a great 1/5 scale 4x4 at 38lbs hit 43mph.